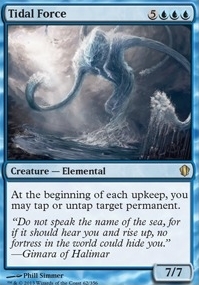 Bane of Progress ($7.95) Price History from major stores - Commander 2013 - MTGPrice.com Values for Ebay, Amazon and hobby stores! Card Text: When Bane of Progress enters the battlefield, destroy all artifacts and enchantments. 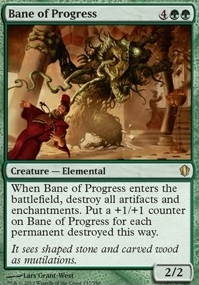 Put a +1/+1 counter on Bane of Progress for each permanent destroyed this way. Flavor Text: It sees shaped stone and carved wood as mutilations.